Fancy Tiger Crafts: Makerie Summer Series Recap! Last weekend, Amber and I had the pleasure of teaching at the Makerie Summer Series! 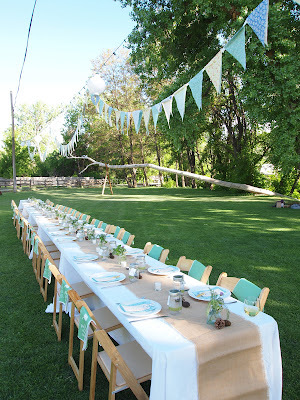 This was the first ever day retreat put on by the Makerie, known for their spring-time weekend creative retreats held every year at Chautauqua. 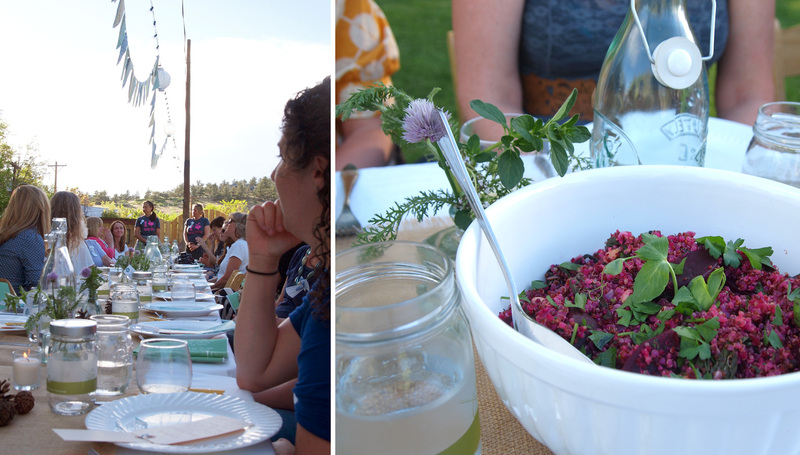 The Makerie Summer Series is held at the idyllic Lyons Farmette. 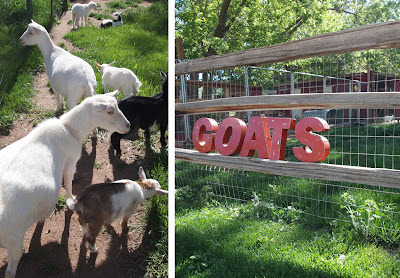 This working farm was the perfect setting for our day of teaching spinning for the June theme, On the Farm. The farm houses goats, chickens, one llama, and includes a large vegetable garden. We could not ask for a better day with perfect temperatures and a cloudless Colorado sky. 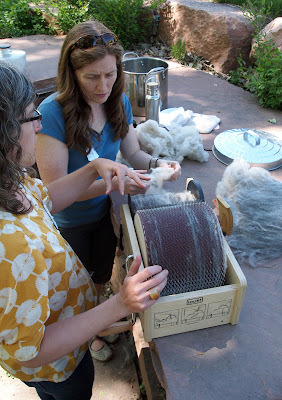 Amber and I taught "Farm Fresh Yarn", a class we developed for the Makerie Summer Series to teach participants how to spin yarn from a freshly sheared sheep fleece. We purchased two Shetland fleeces from our friends Peg and Woody at Pinon Woods Ranch in Norwood Colorado. Shetland sheep Belle Star and Butch Cassidy lent their woolly locks for our class. Our class was held outside right next to a stream of water - it was so peaceful! 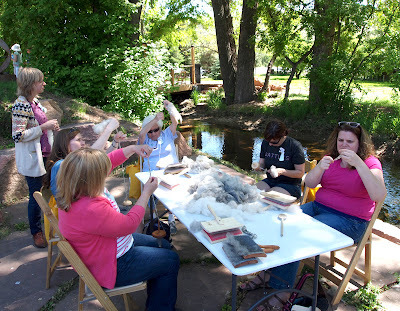 This was the perfect place to spend the day spinning yarn. We demonstrated how to wash a fleece on a small scale, using a salad spinner as our "washing machine". Amber then taught students the ways of hand-carding rolags from fleece that we had previously washed and dried. I taught students how to spin from their rolags on a drop spindle from local company Schacht. 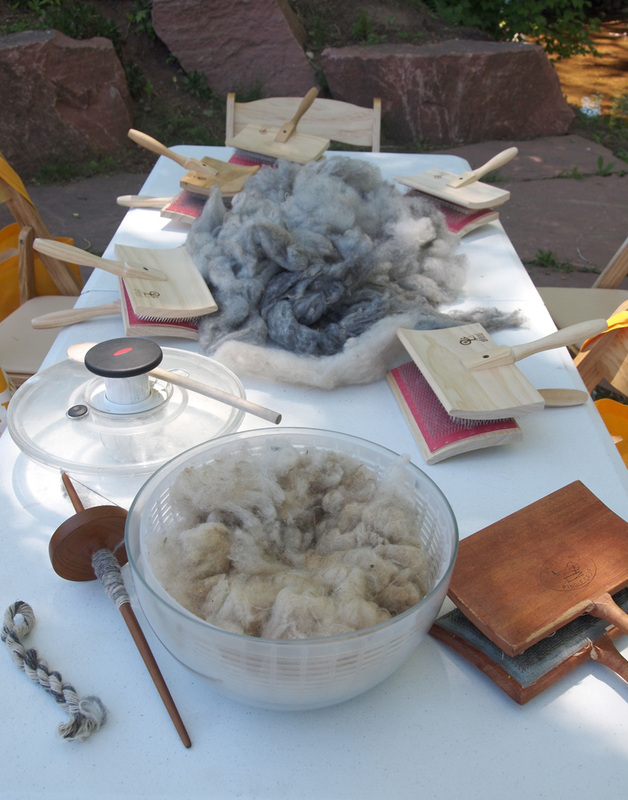 Finally we let students use the drum carder to finish carding the remainder of their fleece. It was a great day and our two groups of students left with new skills and a new appreciation for the work that goes into processing a fleece. Students were able to take two classes during the day and we loved seeing the other items that were produced on our day on the farm. 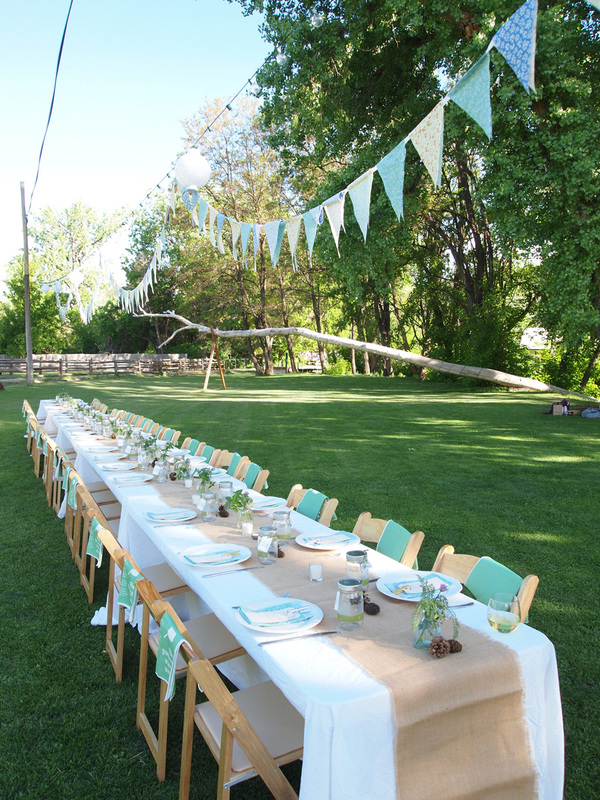 At the end of the day, we were treated to a local farm dinner catered by Eat and Crust. It was an amazing meal and a great way to end the day chatting with all the Makerie teachers and participants. Our chefs tell us about the awesome food we are about to eat. 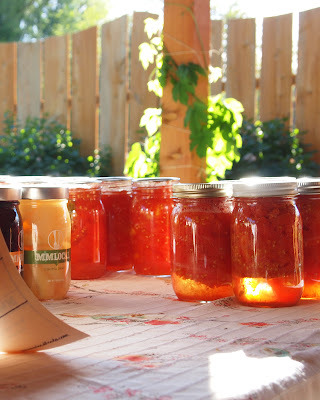 If you are inspired by our day, check out the other Makerie Summer Series events in July and August - so many great classes to take and foods to eat!